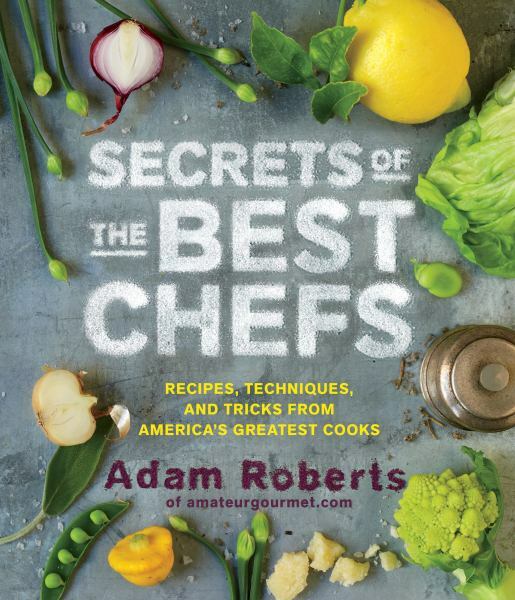 Recently, I revived (and redesigned) my Hey, Adam Roberts blog, the blog I created when, two years ago, I got my first job as a TV writer and decided to throw in the towel as a food blogger. I wrote a post called “Blogging in 2017,” linked to it on Facebook, and suddenly got this huge gush of support from readers who’d been crouching in the dark, waiting for just such a dispatch. Turns out, people missed my blogging voice. That was very nice to hear. I resolved to keep blogging on Hey, Adam Roberts. The next post I was going to write was, in fact, a recipe for Pappa al Pomodoro soup. I was all set to type it up and everything and then I remembered something: I have a food blog. A blog that I created (back in 2004!) to share just such recipes and cooking experiences and all other things related to food. Why would I put a recipe for Pappa al Pomodoro soup on a not-food blog? That wouldn’t make any sense! Here’s the thing: sometimes you have to step away from something to understand what it is. When I stepped away from The Amateur Gourmet in 2015, I was so excited to be done with food blogging the way I’d learned to do it. Which is to say: I was excited not to have to edit pictures anymore; not to worry about traffic anymore; not to craft posts to maximize key terms for Google searches (such as “broccoli recipe”), to think about SEO (whatever that is), to properly tag, and categorize, and label every post to serve the blog’s byzantine structure. Food blogging had become a job, not a joy, and writing a post felt more like an obligation than an opportunity to share something that I was genuinely excited about. Which, of course, was the reason I created the blog in the first place: I was a third year law student who hated law school and who spent most of my time either watching “Molto Mario” or “Sara’s Secrets” on The Food Network, copying recipes out of Barefoot Contessa books at Borders (RIP), and experimenting with chili recipes in my kitchen. My friends Josh and Katy said I should blog about my newfound culinary obsession. And that’s why and how the blog was born and it was so much fun in the beginning. I made videos with Barbie dolls. I ate cat food. After the Superbowl, I went viral with Janet Jackson Breast Cupcakes. 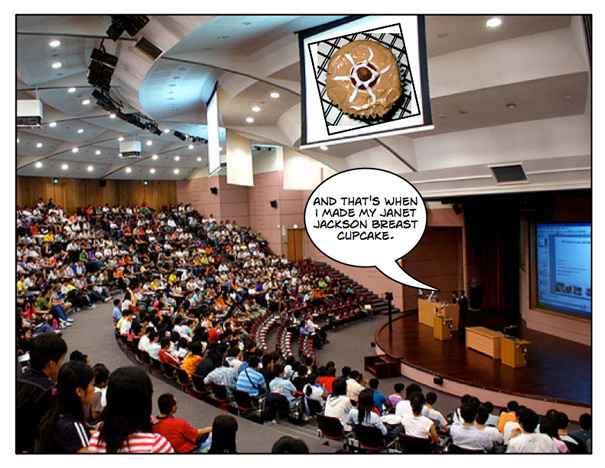 It’s a tale as old of time: with great breast cupcakes comes great responsibility. The blog got bigger, jobs and books materialized, and basically it all became a mad scramble to stay afloat, to stay relevant, to stay click-worthy. It was exciting but also exhausting. And going from that into a writer’s room was a dream: instead of being a one man-band, I was now sharing the responsibility of being entertaining with a roomful of funny, talented people. Now that The Real O’Neals is over (also RIP), I’m working on a variety of film and TV projects at home and have more time to cook and, potentially, to blog about what I’m cooking. 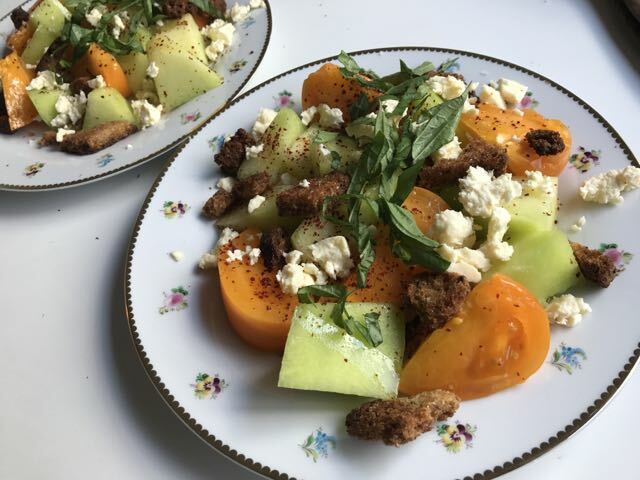 So what if I treated my food blog the way that I used to treat my food blog, as a place just to share recipes and cooking stories and pictures of dinners out? Use it the way it was meant to be used: not as a business, but as a way to connect with people about food. That actually sounds pretty good. I’m really into making cheese plates lately. My trick is to create levels with little bowls filled with stuff (dates, nuts). Oh that cheese is Manchego. Also: I’m experimenting with captions. 1. You may have noticed, I completely redesigned the blog myself. One of the biggest burdens of blogging for me, in the past, was that I knew absolutely nothing about the back-end and always relied on super talented, generous, patient designers to field my questions, to put up with my urgent texts in the middle of the night that the site was down. One idea that encouraged me to start the blog up again was that I could do away with the whole design and just use a WordPress template, one that I could tinker with myself. And so that’s exactly what I did. The up-side is that it’s the latest version of WordPress, so the blog looks really fresh and neat. The down-side is that I completely destroyed the organization. Nothing makes sense anymore. There’s no menu, no categories, no way to browse dessert recipes. Sorry! I’m OK with it, especially since there’s a search box. You can just go there, type “spaghetti,” and probably find what you’re looking for. 2. 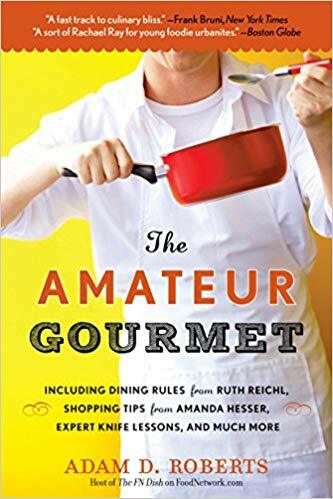 All my food stuff is under “Amateur Gourmet” again. I went through a bit of an internet identity crisis when I got the TV job, figuring that it would be smart to “become my name” (whatever that means) which is why I changed my handles to @heyadamroberts on Instagram and Twitter. But what was confusing about that was that I was still creating food content, but now it was under a name that had nothing to do with food. So: I’ve migrated the few food posts I did on Hey, Adam Roberts over to Amateur Gourmet, you can see them below (try the spaghetti with crispy chickpeas and preserved lemon, it’s pretty amazing). 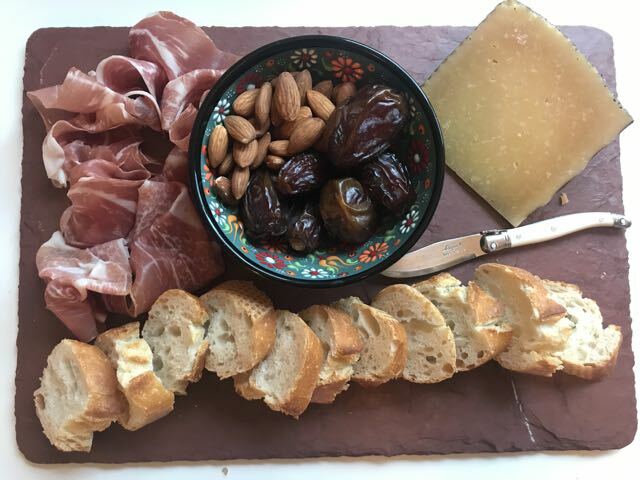 I also changed my Instagram back to @amateurgourmet, as well as my Facebook page, though somehow Twitter wouldn’t let me reclaim my moniker, so for right now I’m @theamateurgourm which sounds like a hobbyist Eydie Gorme impersonator. And that’s that! If you see me writing here, it’ll be because I really want to be writing here, not because I think I have to in order to pay the rent. (And on that note: no more ads, except the ones I can’t get rid of in the comments. I’m working on it.) Here’s to Amateur Gourmet 2.0. Let’s have some fun. What’s Going On With Food Blogging?